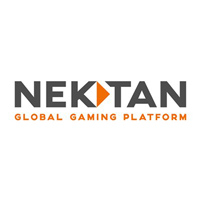 Nektan plc (LON:NKTN), the fast-growing international gaming technology platform and services provider, is pleased to announce that Lucy Buckley has been appointed to the Company and its Board as Chief Executive Officer. Lucy will join the Company and the Board on 3 December 2018. Lucy has spent the past 8 years at Inspired Entertainment Inc, most recently as Vice President of its Interactive division which she set up and ran for the last 3 years with double digit year-on-year growth. Lucy has over a decade of gaming experience and has been recognised in Gaming Intelligence’s ‘Hot 50′ and in the Global Gaming Business ’40 under 40’. She also holds an MBA from Cass Business School. Following Lucy’s appointment, Gary Shaw will cease to be Interim Chief Executive Officer whilst continuing as an Executive Director. The Board wishes to thank Gary for his stewardship of the Company as Interim Chief Executive Officer, when Nektan has made significant progress in achieving its goal of becoming the global technology platform of choice for the provision of premium gaming content. “We are delighted that Lucy is joining Nektan when we are seeing considerable growth in the business. Lucy’s extensive international gaming experience is an excellent fit for the role as Nektan’s CEO. Click NKTN for the full archive.